Get the latest Apple software on your Mac! The MacBook Pro has had a long life thanks to frequent operating system updates. 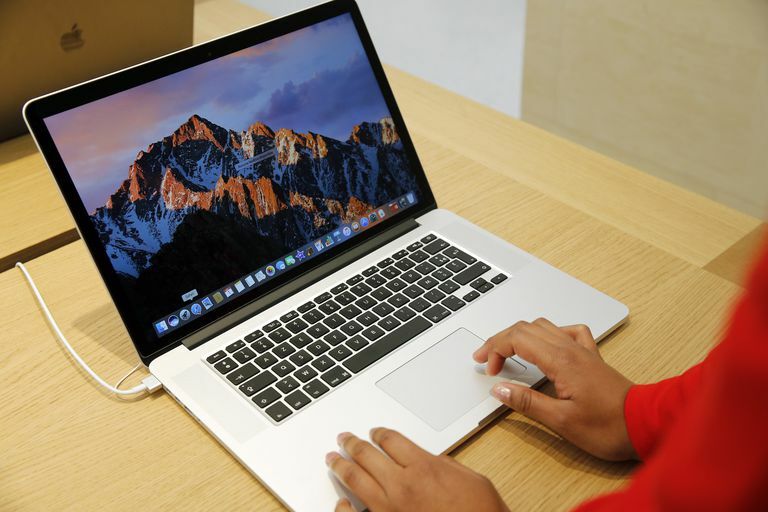 While the hardware has become difficult if not impossible to upgrade yourself, Apple has worked on extending the MacBook Pro's life by making sure its operating system, macOS, runs on models going back many years. However, older models of the MacBook Pro work in fundamentally the same way, and can support the same software updates. As such, this guide explains how to update all MacBook Pros in general, covering recent and less recent operating systems, and what you should do to prepare your MacBook for any new software. Updating your MacBook Pro is one of the best ways of ensuring you won't be affected by bugs or vulnerabilities, and it's also the only way to benefit from certain new features Apple periodically rolls out (e.g. Dark Mode). But before trying to update your MacBook Pro to the latest version of macOS, it's worth checking whether your MacBook is compatible. macOS Mojave: if you'd like to download macOS Mojave (the latest at the time of writing), Apple's website states that you'll need a MacBook Pro produced in mid-2012 or more recently. It also states that you can update directly to Mojave from all of its Mac operating systems as far back as OS X Mountain Lion (2012). Similarly, here's what you'll need if you aim to upgrade to any of the following versions of macOS (or its predecessor, OS X). To find out which OS you're currently running, you can click the Apple icon in the top-left corner of the screen (on the left of the top menu bar), and then click About This Mac. This will tell you your OS and the specific version of the operating system you have (e.g. 10.14). You can click on this button to bring up the System Preferences window for Software Updates. Doing so forces your Mac to check for updates, and if one is found, you have to click the Update Now button to begin the installation. This begins the installation process, which can take around half an hour to complete depending on your MacBook Pro, and which ends with your device restarting. This begins the same installation process, which can take a while to complete and which ends with your Mac restarting. The actual process of updating a MacBook Pro is simple enough. However, there are a few steps you may want to take in preparation for the process. First of all, you may want to back up your Mac, just in case something goes wrong. This generally isn't 100% necessary, but it's better to have a backup as some Mac users have complained in Apple forums that they've lost files and data following an update. So, for those who don't want to run the risk, here's what you do to create a backup for your Mac. After you've clicked Use Disk, Time Machine will automatically begin making regular backups of your MacBook Pro. However, one other thing you may want to do before updating your operating system is to tune up your Mac. One of doing this involves cleaning your Mac's disk. Once again, this isn't entirely necessary, but a cleanup may help your Mac to run more smoothly, thereby making it more capable of handling a newer operating system. Cleaner tools like CleanMyMac scan your MacBook for junk and unnecessary files, giving you the option to delete such files after they've been found. They won't transform your Mac into an entirely new machine, but they generally help it to run a with a little less friction.